Today, Assemblymember Monica Wallace (D-Lancaster) announced that she has been appointed to the New York State Assembly Judiciary Committee. 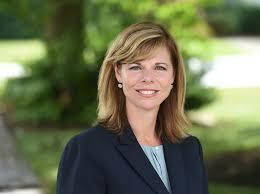 Wallace, who has served the 143rd Assembly District since 2017, previously served as a confidential law clerk to U. S. District Court Judge Richard J. Arcara, as a staff attorney at the New York Court of Appeals 2nd Circuit, and as a faculty member at SUNY Buffalo Law School, where she received her law degree. Wallace noted, for example, that she participated in the rollout of the electronic case filing system while working in the federal courts, and can speak directly to the challenges and benefits of expanding electronic court filing throughout all of New York State, a topic which the Judiciary Committee has recently held public hearings on. The Assembly Committee on Judiciary has jurisdiction over legislation affecting all aspects of both state and local courts. It has primary jurisdiction over amendments to the State Constitution, Civil Practice Law and Rules, Judiciary Law, Uniform Court Acts, Family Court Act, Surrogate’s Court and Procedure Act, Domestic Relations Law, Estates Powers and Trusts Law, Uniform Commercial Code, Lien Law, Debtor-Creditor Law, General Obligations Law, Real Property Law, Real Property Actions and Proceedings Law, Civil Rights Law, Partnership Law, Eminent Domain Procedure Law and Indian Law. The committee also shares budgetary oversight of the Office of Court Administration and the Department of Law with the Assembly Ways and Means Committee. In addition, all proposed amendments to the New York State Constitution are considered by the Judiciary Committee.